Mickey’s Very Merry Christmas Party is normally a separately ticketed event that can’t be seen unless you buy said ticket. But this weekend, Walt Disney World is giving you the chance to watch the highlights for free and from the comfort of your couch. 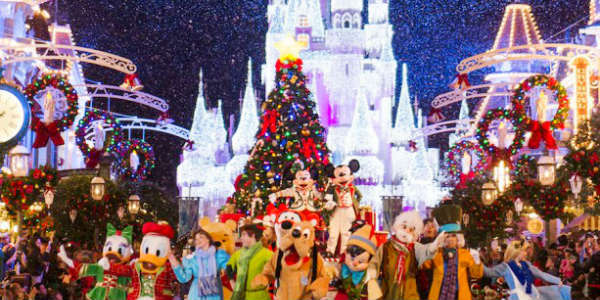 The theme park is continuing its live streaming events on Sunday, December 6, with live streams of “Mickey’s Once Upon A Christmastime Parade” and “Holiday Wishes: Celebrate the Spirit of the Season” fireworks live from Mickey’s Very Merry Christmas Party at Magic Kingdom. 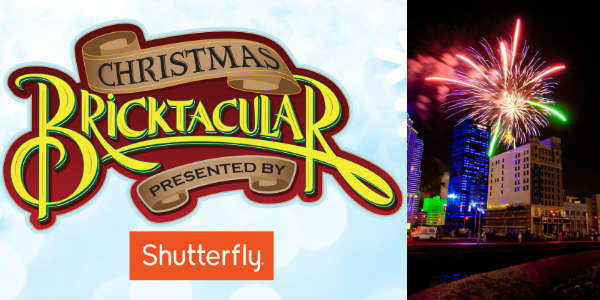 Universal Orlando Resort‘s 2015 Holidays Celebration kicks off December 5 and runs through January 2, 2016. Guest will be able to enjoy Macy’s Holiday Parade, live music from Mannheim Steamroller, and Grinchmas, all included with park admission. On select nights in December, visitors to LEGOLAND Florida will get to enjoy the annual Christmas Bricktacular Celebration. This year, the festivities expand with an exclusive yuletide fireworks spectacular presented each night, plus a more than 30-foot-tall Christmas tree made entirely of LEGO and DUPLO® bricks, a life-size LEGO model of Santa, his reindeer and sleigh, themed scavenger hunts and more. One of the most fun daily events at the Magic Kingdom is the “Move It! Shake It! 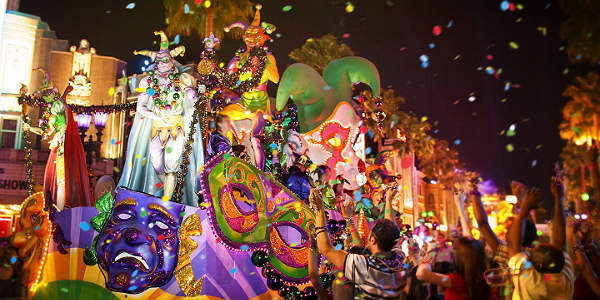 Celebrate It!” procession, and this fall it’s being revamped into the “Move It! Shake It! Dance & Play It!” party procession. What’s new? 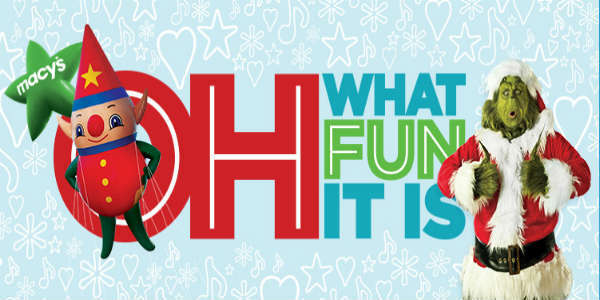 For starters, Stitch and Phineas & Ferb will be part of the fun. 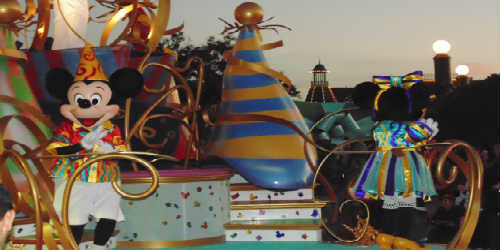 Perched on top of the giant gift boxes, they will join hosts Mickey Mouse, Minnie Mouse, Donald Duck, and Goofy in a processional up Main Street U.S.A. to the castle to the sound of remixed classic party songs. One of my favorite things about the holidays in Central Florida (other than no snow!) is that it’s cool enough outside to enjoy outdoor activities but not too cold to be outside. I also love that many of the local communities celebrate the holidays with outdoor events like parades and such. One of these is the upcoming Avalon Aglow in downtown Avalon Park area of town (East Orlando, 5 miles south of th 408 Expressway on Alafaya Trail). This will be the tenth year of Avalon Aglow and it will feature amusement rides, live music, food and drink for purchase and more. Highlights of the event will be the Holiday Parade at 3pm with Santa Claus, and the winter fireworks extravaganza at 9pm. Toys for Tots will also be at the event collecting new unwrapped toys valued at $10 or more for children. Everyone who donates a toy or $10 will be entered into a raffle to win prizes. 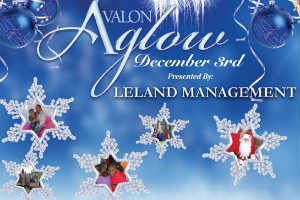 Avalon Aglow takes place December 3, 2011, in downtown Avalon Park, and is free for all to attend. This is a great way to spend the day with the family.